Oregon Week on Nomadic Pursuits! 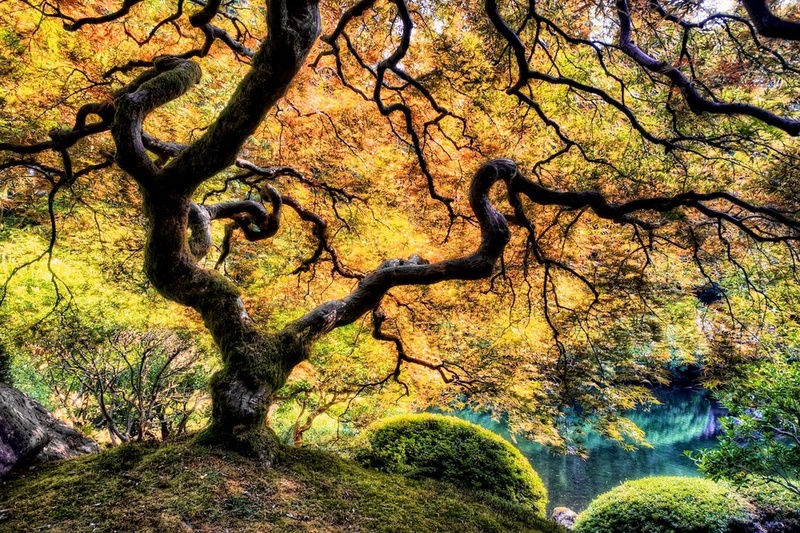 This beautiful Japanese maple tree resides in the Japanese Gardens in Portland, OR. I just spent some time up there with several other photographers, and I have planned to make this "Oregon week" on the blog so that I can share some photos from my most recent adventure! Our first stop once we all met up was to head over to the Japanese Gardens, which are in the west hills of Portland not far from downtown. Apart from the intricately twisting branches, the thing I found most interesting about this tree is its size. It's only about 5 feet tall! I actually missed it the first couple of times I walked by! We spent a couple of hours here at the gardens, and I have a lot more to share from here. But, I think my next post will be the Portland skyline, which we shot a few hours after leaving these gardens. We shot through a beautiful golden hour, through blue hour, and into the night. It was awesome.